Phoslab Environmental Laboratories follows precise measures set forth by governing agencies for legal custody of sample and data procedures. The chain of custody is a document which, among other things, shows us what you want to test for. It also documents when we receive the samples. We will provide instructions on how to fill one out (most companies who use our service already know how to fill out these forms). 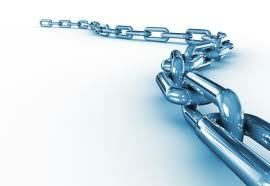 We will attach the chain of custody to the report for your records when results are returned. For purposes of litigation, regulatory agencies must be able to prove the legal integrity of all samples and data introduced as evidence. This means it is necessary to have an accurate written record to track the possession, handling, and location of samples, and data from collection through reporting. Verification of who has possessed the samples and data and where the samples have been is easier if you follow chain-of-custody procedures. CLICK HERE to download chain of custody form. 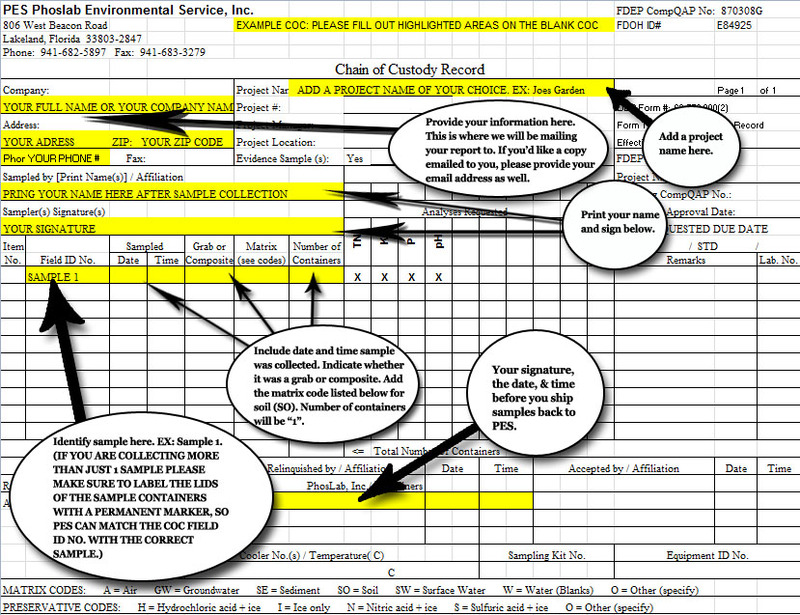 CLICK HERE for graphical help filling out the chain of custody form. CLICK HERE for a drinking water microbial form. You should always follow chain-of-custody procedures whenever samples and data are collected, transferred, stored, analyzed, or destroyed. A secure chain of custody, combined with the use of proper analytical methods and techniques provided by Phoslab Environmental Laboratories, is necessary for analytical reporting.